Haywire Press, New City, New York, USA, 1978. Unpaged, 137 duotone illustrations, 11½x10¾x½". Signed in blue ink by Lee Friedlander on the front free endpaper. Very Good condition (pronounced sunning at spine and overall fading to the cloth, otherwise a Fine signed copy with tight binding and crisp corners). 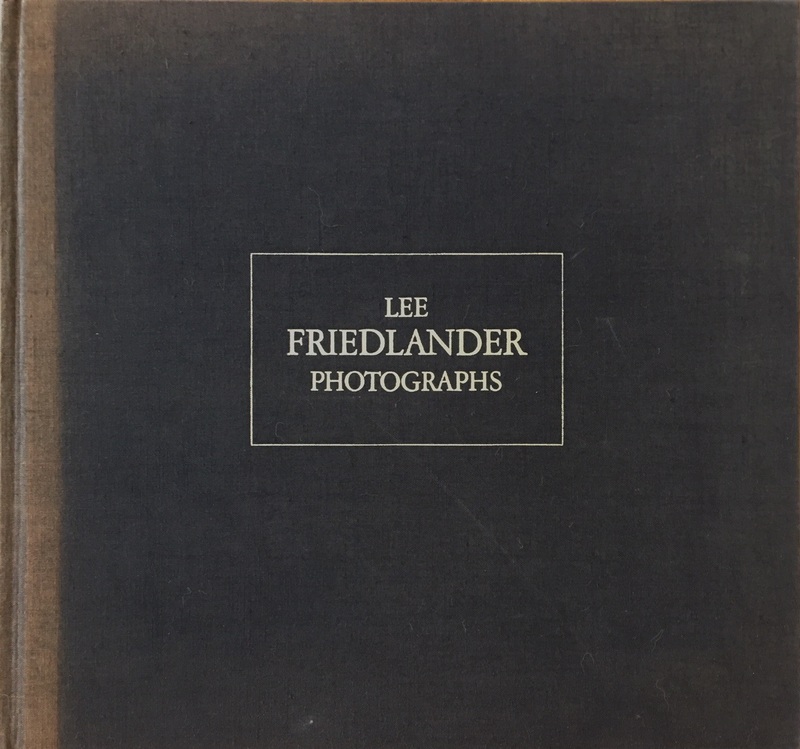 Often referenced simply as “LFP,” Lee Friedlander: Photographs contains reproductions of Friedlander's most well known early work, as well as numerous images rarely published elsewhere, on a number of themes that would later show up in his work: family, nature, portraits, television screens, among others. An early career retrospective, the book was published in conjunction with an exhibition at the Hudson River Museum in New York, and is the second book published by Friedlander’s own Haywire Press.